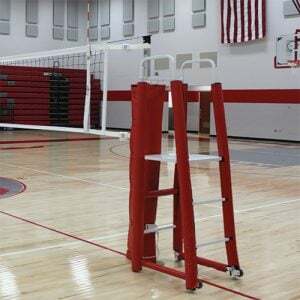 Durable and extremely versatile aluminum volleyball system offering the most complete line of net sports all within just one system. Meets USVBA, NCAA and NFHS competition specifications. With easy to use slide collars, the net is infinitely raised and lowered from men’s height to tennis and anywhere in between within a matter of minutes. 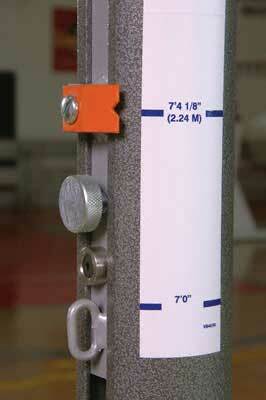 Unique pin-lock mechanism allows posts to adjust to Men’s (7’11-5/8”), Women’s (7’4-1/8”), and Junior’s (7’) net heights. 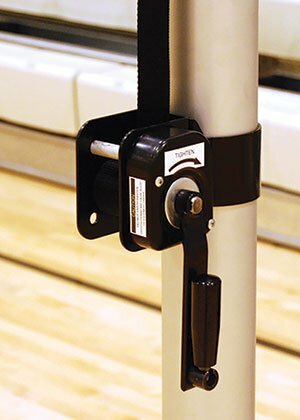 The 3-1/2” OD lightweight high strength aluminum post with anodized finish is designed for the facility requiring a product that will withstand years of abuse and always provide dependable performance. 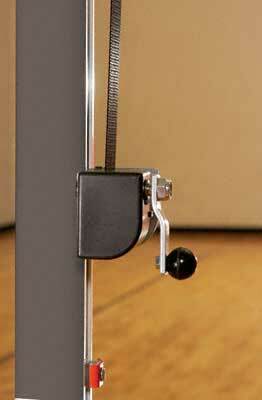 Bottom of uprights feature adjustable, non-marking pads. 10 year limited warranty on uprights and 3 year limited warranty on winch assembly, floor sleeves and covers. 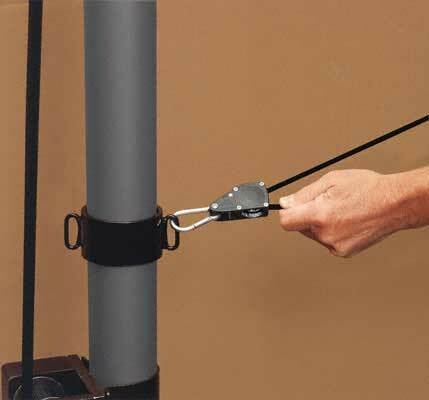 3-1/2” OD Aluminum Complete system includedes: Upright Poles, Floor Sleeves and Swivel Brass Cover Plates, Competition Volleyball Net, Antennas and Safety Pads. 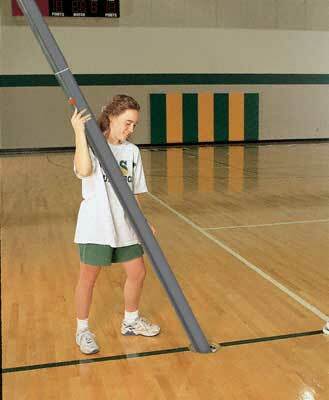 Please contact me with more information about: "VB6000 Indoor Volleyball System, 3.5" OD Aluminum".